Psychological abusers blame your reactions to their abuse, rather than the abuse itself. Then they repeat the abuse so you seem "crazy" for bringing it up. Psychological abuse leaves the survivor feeling hopeless and isolated. One of my favorite new recovery books shines a light on this painful reality and restores hope: Healing From Hidden Abuse: A Journey Through the Stages of Recovery from Psychological Abuse (Amazon), by Shannon Thomas (LCSW). 1) "Frequently, the emotional homicide is happening while other people go on clamoring about what a great guy or gal the abuser is, and how lucky the survivor is to be connected to the abuser." It's incredibly confusing when you see a side to someone that no one else sees. Narcissists and sociopaths present a certain image to the world, typically saving their most hurtful behavior for their intimate relationship partners (or children, subordinates, etc). A lot of times it seems like they would rather impress a total stranger than make their actual partner happy. While you're being gas-lighted and triangulated, many people (even your own friends) will remind you what a great person they are. This causes you to implode and blame yourself for their increasingly inappropriate behavior. Even after they cheat and replace you with someone, making their infidelity incredibly obvious, somehow their fan club continues clapping for them. 2) "They accuse survivors of 'focusing on the past' or they say things like, 'The problem is that you won't forgive me for my mistakes.' No, the problem is that psychological abusers keep making the same 'mistakes' or choices to harm other people." This is a huge one. With psychological abusers, they blame your reactions to their abuse, rather than the abuse itself. And they continue repeating the abuse, which only makes you seem "crazy" for having to bring it up over and over again. Most people value forgiveness, but psychopaths exploit this to the extreme. Before long, you'll find yourself apologizing for their cheating, lying, and flirting with exes. If only you had been more easy-going, then everything would have been fine, right? Nah. 3) "Psychological abusers know when and where to turn off their manipulative games. They know precisely how to push all the right emotional buttons to get the target's frustrated response that the abuser craves." Narcissists and sociopaths can go back to the sweet, nice person you fell in love with whenever it's convenient for them. If they sense you're drawing away, catching onto their behavior, or not responding to their other mind games. Shannon repeatedly drills home that psychological abusers are not dumb, and their behavior is not unintentional. These choices to become "nice" again are exactly that: choices. And likewise, they also make the choice to push your buttons and manufacture reactions so they can prove that you're "crazy" or "needy" or "jealous". I cannot recommend this book highly enough. Shannon has a great way with words, combining academia with warmth and compassion. She's one of the professionals out there who truly gets it, and her book's approach to healing is the key home. She understands the severity of this abuse, the long-lasting damage it can leave, and the essential self-work needed to heal from it. A large part of her process is deprogramming old beliefs (lies) that the abuser plants in the survivor. Beliefs that, when left untended, can drain away self worth and even cause PTSD. How are personality disorders created? An important topic she explores (which I feel my book missed the mark on) is how personality disorders are created. They're not just devil babies risen from hell. From her book: "Personality disorders are created during childhood and adolescence through a lack of healthy attachments to their primary caregivers". I believe this truth helps survivors to overcome cognitive dissonance, realizing there was nothing you could have done differently to make it work. This person was incapable of attachment & love, which is likely the root of all their other behavior. This also helped me to understand that this person's behavior had literally nothing to do with me. Accepting this allowed me to let go of resentment, forgive (from a distance), and finally release old messages of "not enough". 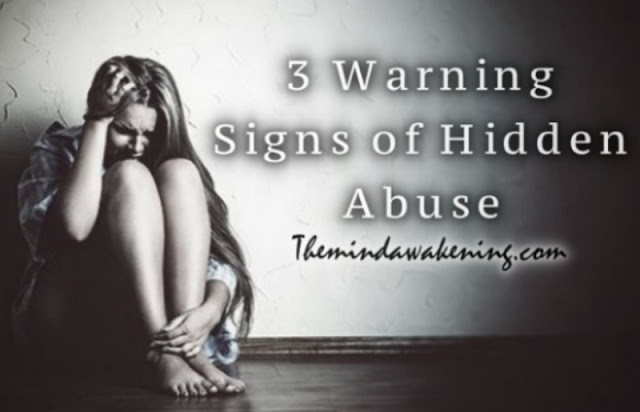 Shannon describes many other important aspects of hidden abuse: gas-lighting, smear campaigns, common traits of survivors, and flying monkeys. She also approaches the religious aspect of hidden abuse, and at one point discusses people who use God as a flying monkey ("God guided me to sleep with this other person").